Now, I have great respect for restaurants with straightforward names. 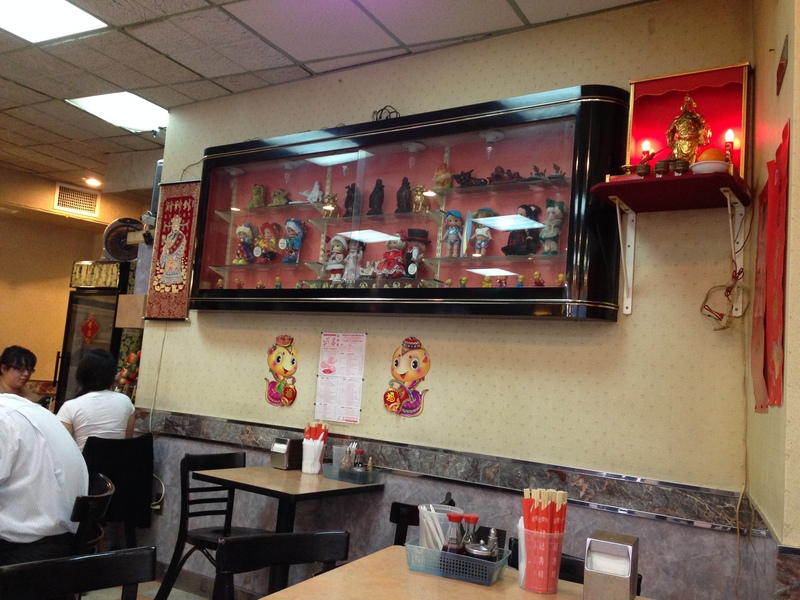 Taste Good in Queens, for example, serves incredible Singaporean/Malaysian food that, well, tastes good. 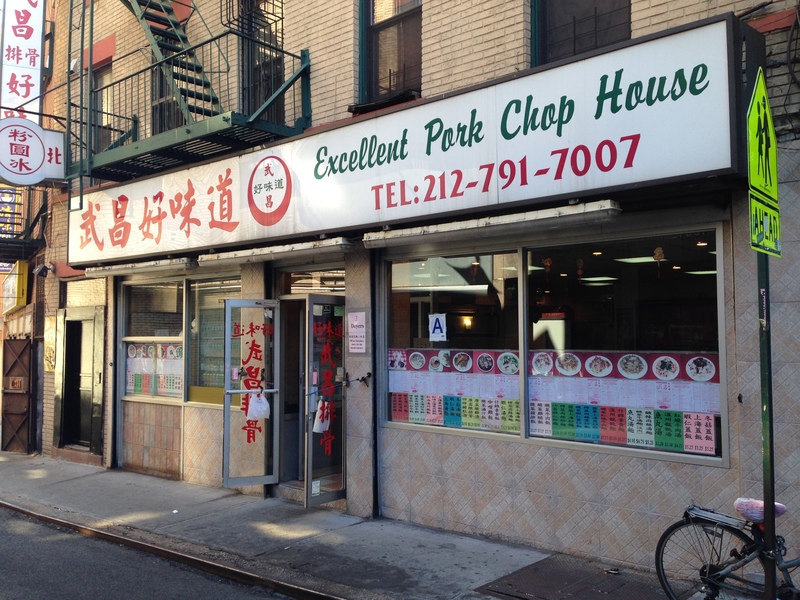 So I certainly took it as a good sign that this restaurant was simply named Excellent Pork Chop House. I also appreciated this highly odd collection of figurines and dolls that were very nicely displayed. Hey, nothing telegraphs homey as effectively as “bizarre” sometimes. 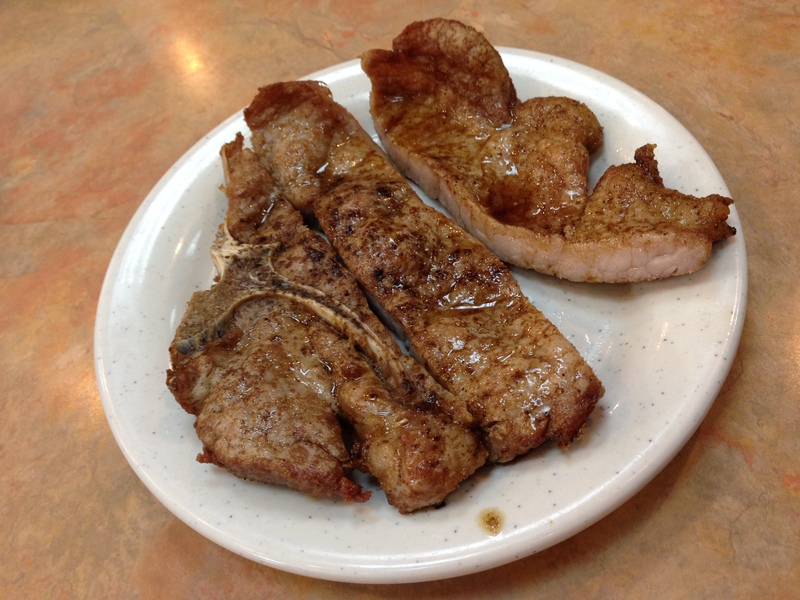 Since Ed had recommended them — and since they’re in the name of the restaurant — we figured pork chops were the way to go. 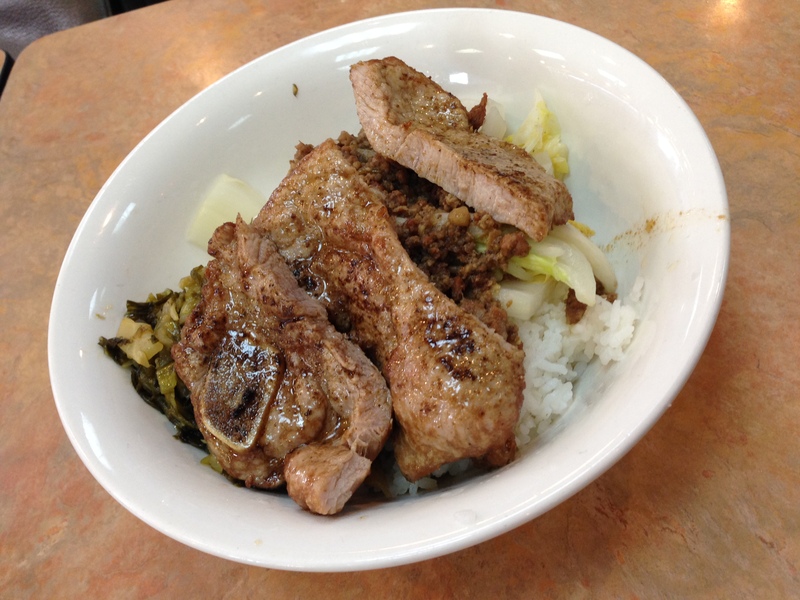 First up, pork chop rice, which featured rice topped with seasoned, stir-fried minced pork, pickled mustard greens — a deliciously sour, tangy, crunchy and earthy preserve vegetable that’s commonly used in Southern Chinese and Taiwanese cooking — and a thick slab of pork. This was beyond tasty — the pork chop itself was juicy and nicely fried, bursting with flavor. But the combination of minced pork and pickled mustard greens worked perfectly well without it, too. Sous chef said he might order this dish sans pork chop next time, in fact. 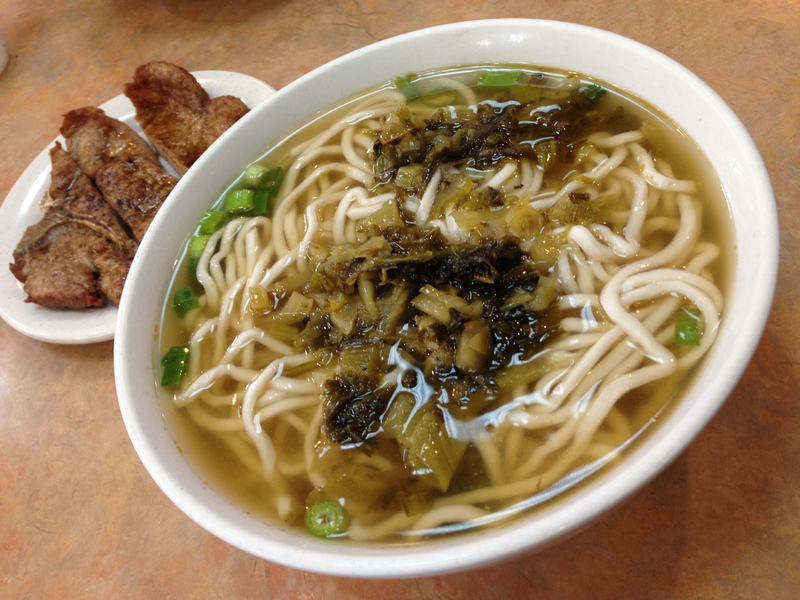 Next, we had the pork chop noodles. First came the chop — which was as nicely done as the first we’d had. Look at all the juices on there — so good. 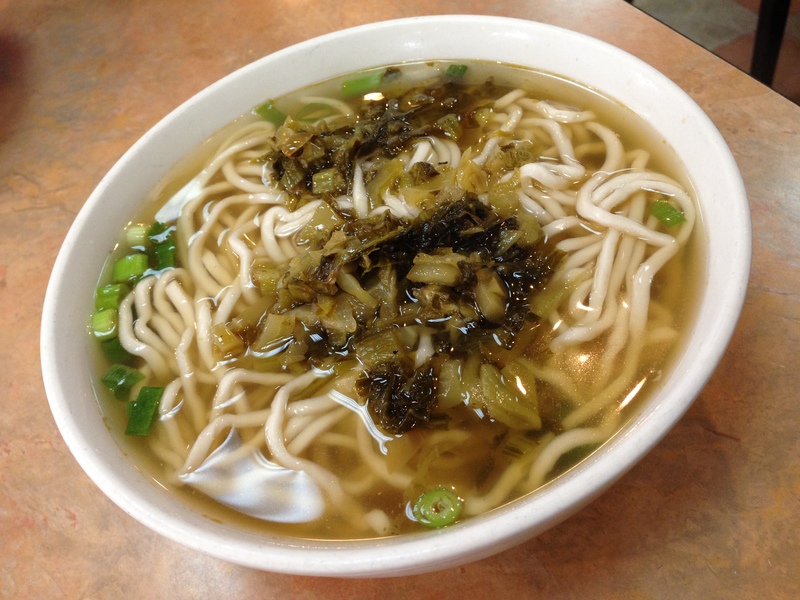 Then, the noodles — the broth was light, slightly salty and porky but what really made the dish was the gobs of pickled mustard greens on top of it. I quickly learned the key was to mix it all up so you got a bit of crunchy sour deliciousness with each bite of noodle and slurp of soup. Before I knew it, this entire bowl — which I had at first deemed to large for me to finish — disappeared. As terrific as this meal was, the even better part came next. Our bill for the two dishes — plus a Coke and a hot tea — came up to $11. 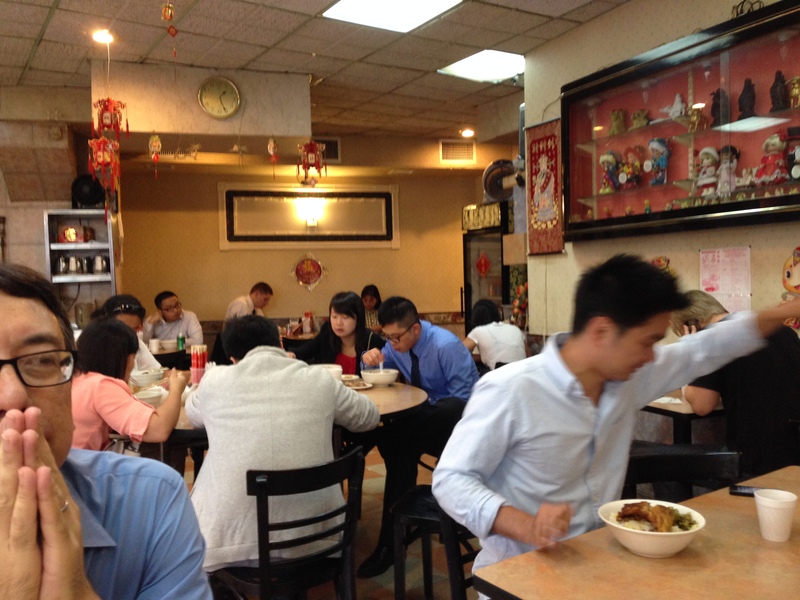 There are increasingly few places in New York City where you can eat like a king and be out just a few dollars a person. Well folks, this is one of them. And it’s excellent, indeed.